The Edo state All Progressive Congress, APC, has said that members of the Edo State People’s Democratic Party (PDP) have resorted to conspiracy theories and wild claims around which to hang their imminent failure in the forthcoming general election. Governor Godwin Obaseki is not the electoral umpire of the February 16 elections, neither is he a security agent, hence should be left out of the PDP’s conjectures. Osagie said : “the governor is a known stickler for rules, due process and standard procedures, who believes in hard work. “He is demonstrating this across the state by vigorously campaigning for candidates of the All Progressives Congress (APC), and parading achievements that are tangible, measurable and verifiable. Obaseki points to projects with addresses and does not believe in conspiracy theories. 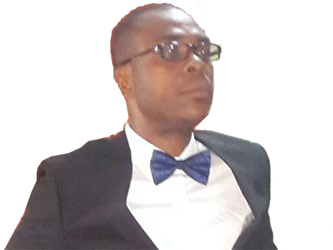 “Edo PDP’s outburst and their hurried efforts to create alibi for their imminent failure shows the party’s deep-seated fear (of epileptic proportion) of failure at the polls, come Saturday. “They know their fate that they are going to fail as their candidates have no projects to show in Edo communities. Impactful projects, not contrived tantrums will decide the fate of candidates at the polls.